I am back with how to get SUMMER look tutorial. 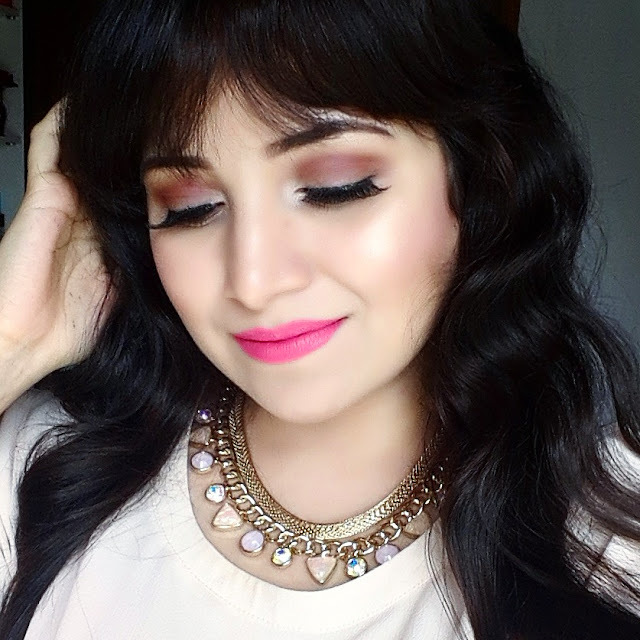 Using following products will help you achieve perfect summer look. Summer is all about colors and I like using bright neon lip colors as this is the only time in year where you can play with almost every color. 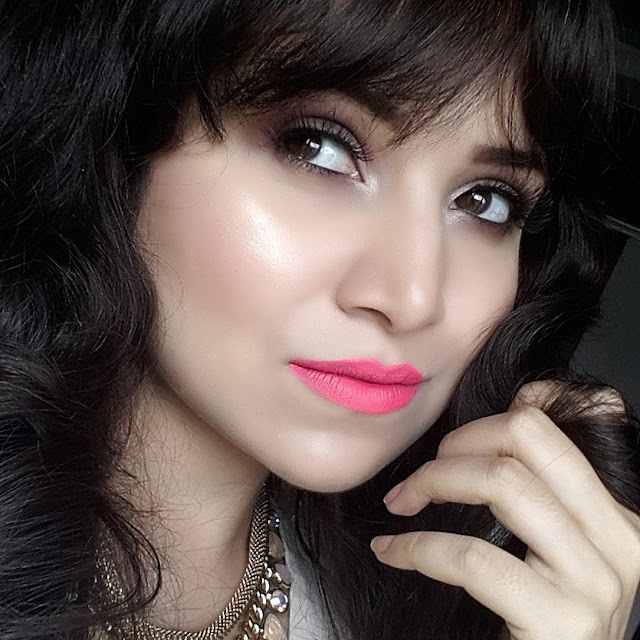 I have not used any liner or kohl for this look as i just wanted to stay away from using black. This look can look best with brown eyes though you can modify look accordingly. 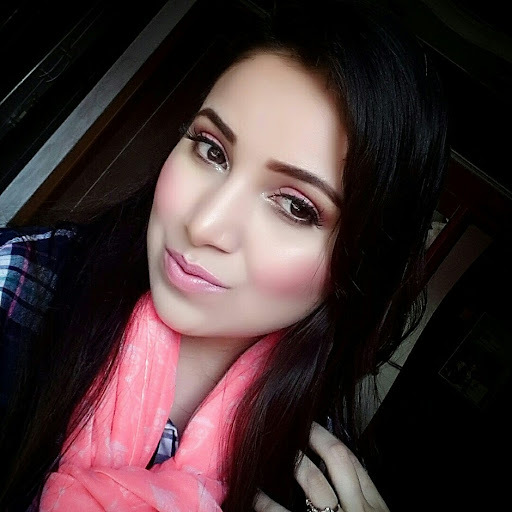 As i have not done any contouring for for face it will save much of your time. I could really complete this look in very less time. This are some quick simple steps to get you a perfect summer look. keep reading!!! Hope you enjoy doing it. -First I Prepd my skin using Makeup Forever HD Primer. I use my fingers to blend primer into skin. -Then I started blending Makeup Forever HD Foundation into the skin using flat kabuki brush from Sigma. -For my eyes I started with base painterly paint pot from MAC and then my first eyeshadow was from Morphe brushes in Petals which I blended into the crease then I went with granite all over my eyes blending into the crease as well. I took FLAME and blended it into the crease making sure no sharp edges left. For inner corners I went with Crystal. I also applied Crystal on my Brow bone. And I went with Grantie on lowerlash line using pencil brush. If you want you can add brown pencil to your waterline to add more depth to eyes. 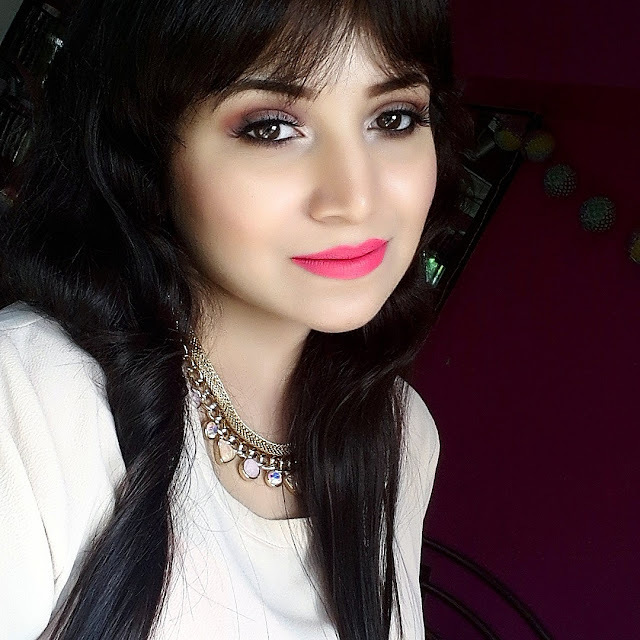 -I have not contoured my face as I wanted soft warm summer look with bright lip. So I used Hoola bronzer on my cheeks, forehead and on my jaw line I added some blush from Sleek makeup blush by 3 in LACE . -Few coats of mascara in L’Oreal Miss Manga volume on upper as well as lower lash line. Adding some Edgy Ardell lashes. 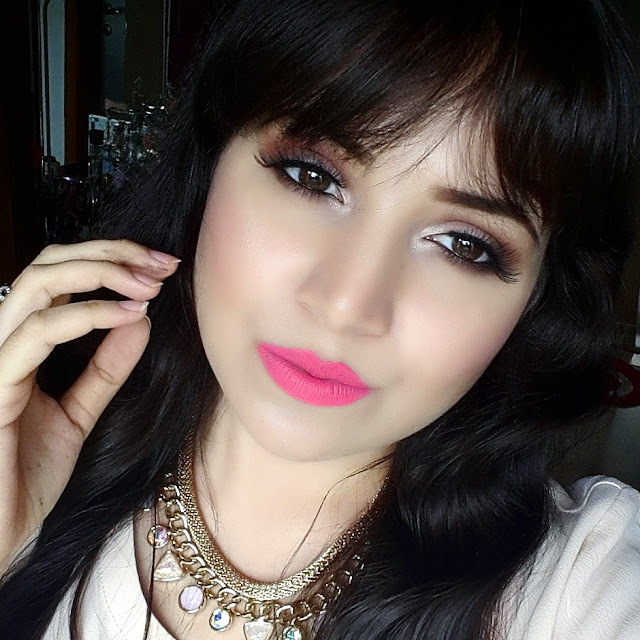 -For lips I have used La Splash cosmetics lip couture in LOLLIPOP a beautiful bright coral color which completes my look. For extra glow you can always add some mac fix+ spray all over your face. If you want to get any products From this look I have link it down below.